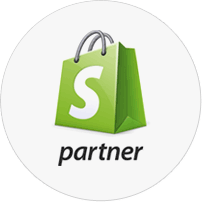 Shopify is a complete e-commerce solution that allows you to set up an online store to sell your goods. It lets you organise your products, customise your storefront, accept credit card payments, track and respond to orders — all with a few clicks of the mouse. Shopify offers a strong e-commerce CMS with everything you will need and an extensive eco-system of apps. Shopify provides free themes and also has a theme store from which you can buy premium themes. Most of the themes are pretty slick and require almost no customization to start. But if you want to have a special feel or look we can build you a theme to make your online shop feel unique and different than your competitors. Shopify is a really popular option because offers a solid background for your online shop. We can help your business grow by updating the content or making sure that everything works as it has to. It uses Liquid as its template language. It is open source and it is written inline with your theme’s HTML and lets you display your shop’s content however you see fit. At albiesoft, we build high-end Shopify themes totally customised for your needs using all the features that Liquid templating language has to offer. This means that the themes we build are fully dynamic and it doesn’t relay on hard coded content. We will follow your shop’s design or we can provide a design for you. If you are with a tight budget we can always customise the theme you like and making sure it is secure and fits your need. Also, we offer monthly contract so we can help your business grow by updating the content or making sure that everything works as it has to.